Herb Brooks: When you pull on that jersey, the name on the front is a hell of alot more important than the one on the back. When you pull on that jersey, the name on the front is a hell of alot more important than the one on the back. "Miracle Quotes." Quotes.net. STANDS4 LLC, 2019. Web. 23 Apr. 2019. <https://www.quotes.net/mquote/62534>. Know another quote from Miracle? 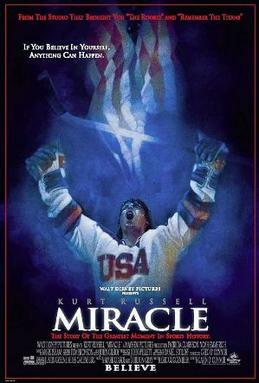 Don't let people miss on a great quote from the "Miracle" movie - add it here!